The Ministry of Justice (MoJ) has confirmed that the Civil Liability Bill will, as expected, include rises in the small claims limit for personal injury claims and a fixed tariff for compensation as a former Goldman Sachs banker has been given responsibility for steering it through the House of Commons. The bill will take forward the reforms previously contained in the Prisons & Courts Bill, which was dropped because of the election. 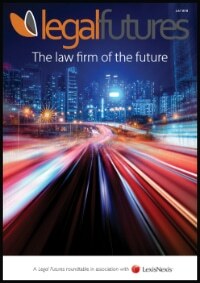 The reforms will be discussed in detail at our PI Futures conference on 19 September in Liverpool. 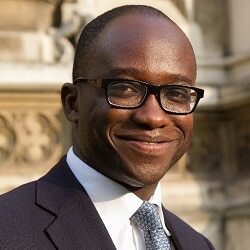 A parliamentary answer from junior minister Sam Gyimah said the MoJ would look to “tackle the continuing high number and cost of whiplash claims” by introducing a fixed tariff of compensation for pain, suffering and loss of amenity for whiplash claims with a duration of up to two years, and banning pre-medical offers. With Sir Oliver Heald, who was previously overseeing the reforms, having left government after the election, responsibility for the Civil Liability Bill has been passed to Mr Gyimah, a one-time Goldman Sachs banker and company director whose portfolio is otherwise prisons and probation. Lord Keen of Elie QC, who is also Advocate-General for Scotland, is the minister for civil justice at the MoJ, specifically including the discount rate and whiplash reforms. Usually it is solicitor Dominic Raab, the senior minister in the department, who shadows his work in the House of Commons. It is not clear why that has not happened on this occasion. Meanwhile, campaigning solicitors’ firm Thompsons has challenged the insurance industry to justify why the average price for comprehensive motor insurance rose 8% between 2015 and 2016 when the Association of British Insurers (ABI) has admitted that the number of fraudulent claims dropped 5% during the same period. However, the ABI recorded a “small rise” in what it called “opportunistic motor insurance frauds”. It said: “While the overall number of opportunistic frauds detected at 110,000 remained unchanged on 2015, there was a rise in opportunistic motor insurance frauds uncovered – 57,000 compared to 54,000 in 2015. Meanwhile, separate ABI research showed that the average price paid for comprehensive motor insurance hit a record high of £462 in that period. James Dalton, the ABI’s director of general insurance policy, said: “The vast majority of insurance claims are genuine, with millions being paid to customers every day. “The industry does everything it can to keep premiums down and tackling fraud, which drives up prices for honest customers, is at the heart of that. 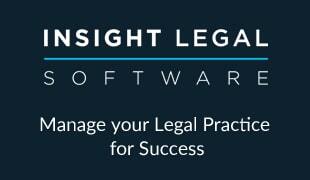 So it’s great to see we have achieved real success in tackling organised fraud in the last year. However, Tom Jones, the head of policy at Thompsons and a panellist at PI Futures, said: “The ABI’s figures completely contradict the narrative constantly pushed by insurers that a ‘compensation culture’ and ‘whiplash fraud’ are crippling the industry. Meanwhile, yesterday the ABI said average premiums have gone up 11% since this time last year – a rise of £48 to £484 – as the impact of the new discount rate and insurance premium tax hit home.